“Who should pay for a date?” is a simple question that can cause tempers to flare and otherwise reasonable people to take to twitter to hashtag up a storm. The old, and very tired, tradition of the man picking up the check at the end of a date is so 20th century. We’re ready for a more nuanced, thoughtful response to this very real, and very sensitive question. My simple answer is this: there is no simple answer. First of all, “the guy should pay” doesn’t really help when two women or two men are on a date together. And what about all of you ladies bringing home way more bacon than your man? Is it still on him to foot the bill for a big Valentine’s Day celebration? This holds true not just for holidays like Valentine’s Day (or V.D. as my hometown newspaper once horrifyingly abbreviated), but all dates. Who picks up the check can still make or break the end of an otherwise lovely evening. Here are a few strategies to help you navigate this particularly sticky situation. A good 21st century rule of thumb can be letting the person who initiated the date pick up the check. This takes the gender of the daters in question out of the equation, and can also help with how to trade off treating each other. If there is an imbalance in finances in your relationship, it might be a good arrangement to let the person with more cash to spare pick up the check (particularly on splurge evenings like Valentine’s Day) and save pizza runs and movie tickets for the less affluent dater. It can be great to have a conversation about what kind of dates you each can afford, and you pick up the check for the types of activities that won’t break your bank. That way you both get to feel like you’re treating each other. There are also many other ways to show affection that don’t include paying for anything. Doing the dishes, writing a thoughtful note, picking them some flowers, carving out special time, all great ways to show you care without spending a penny. Side note: If you and your partner haven’t explored your Love Languages yet, check it out! It can give you some great insight into how you prefer to express and receive love and affection. Do you and your date have a history of them picking up the check? Might be a great opportunity for you to flip the script. Or it could just be business as usual. Should we just split it? Maybe, but maybe not. If one of you has planned a date and made plans, it can be tricky to expect the other person to split the bill of an evening you planned. This can be particularly messy early in a relationship. 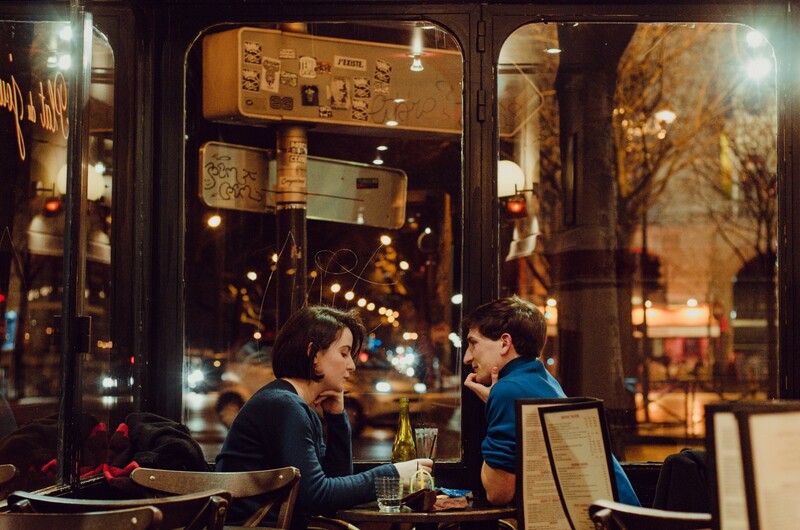 Splitting the check can be great, but make sure it isn’t undermining the romance of the moment or ignoring the financial reality of the person you’re out with. How do I get my date to pick up the check if I usually do? Ask them to. I know talking about money can be tricky, but if you’re dating someone it can be really important to have some tough money conversations. If someday you might be discussing joint checking accounts, down payments, or even college funds for your kids, “Do you mind picking up the check this evening?” can be a great place to start having those basic money conversations. You may be familiar with this move. You know your date is probably going to pick up the check, but you don’t want them to think you’re cheap, or unwilling to pitch in, so you reach for your wallet, but you both know your date is going to intercept you before you get there. I propose saying goodbye to the fake wallet reach. Real wallet reaches: totally fine. But only reach for your card if you’re willing to put it down. Quick question: Is it bad if I want him to pick up the check? That being said, if you’re relying on your date to always pay the bill, it might be good to check in with them that they’re comfortable doing this so it doesn’t become a source or resentment down the line. My best advice is to take this as an opportunity to learn to talk about money with the people you date. This doesn’t mean you need to compare salaries on your first date, but it does mean that you take responsibility for showing the people in your life that being responsible with money is one of your priorities.